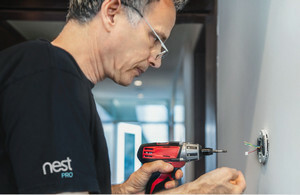 Hooked on Nest thermostats, smoke and CO alarms and indoor/outdoor surveillance cameras, this Nest Elite Pro dealer -- and his Nest-obsessed customers -- can't wait to integrate the new Nest Hello video doorbell and Next x Yale smart lock, starting today. The products are now available. 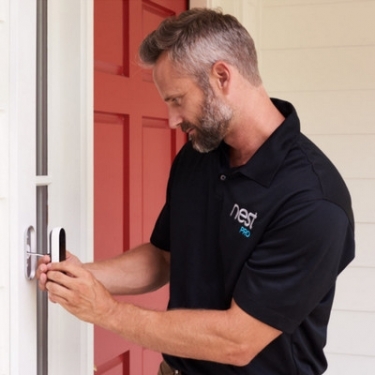 Nest Pro dealers can expect leads to start pouring in from Nest.com for the new Nest Hello video doorbell and Nest x Yale smart lock starting today. Via its consumer website, Nest recommends professional installation, especially for the Wi-Fi doorbell. Nest might have started life making learning thermostats back in 2011, but since then the company has rolled out a slew of security-related products, including connected smoke and CO alarms, indoor cameras, outdoor cameras, and a steady stream of updates along the way. Then came Nest Secure last year, a UL-rated home security system with a home-automation hub (Nest Guard), sensors (Nest Detect) and optional professional monitoring. “We’ve been growing our security portfolio layer by layer,” says Gene LaNois, general manager of the Nest Professional Channel. That growth comes not only from Nest’s new product lines, but also new software and services for existing users – things like sound recognition, people recognition, facial recognition, native Google Assistant, video verification for alarm systems (via iView), video-casting from cameras to TVs (via ChromeCast) and more. Last fall, Nest addressed that critical entry point, introducing the Nest Hello video doorbell and a highly integrated Nest x Yale door lock (formerly “Yale Linus”). Both products are available today in stores and online. True, Nest already supported plenty of smart doorbells and locks through cloud-based integration, but the company felt it could do more by building systems from the ground up to ride its highly evolved architecture. 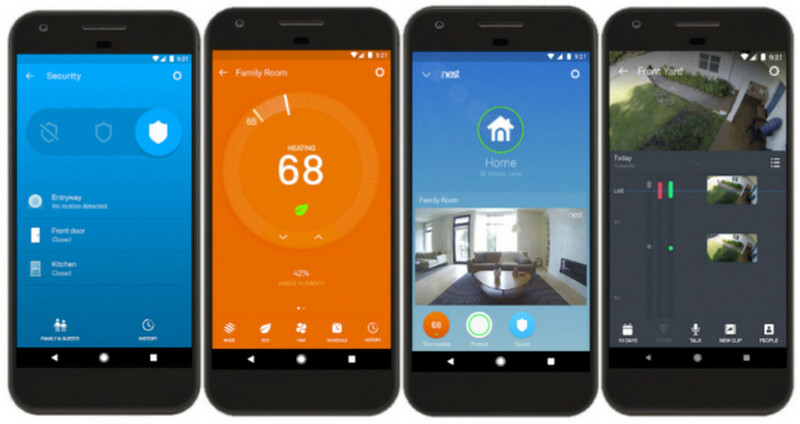 Even before Google acquired Nest in 2014, the thermostat maker had developed and deployed a fairly comprehensive set of platforms addressing everything from the smart device to the cloud … and beyond. That includes local device communications, cloud-based learning and analytics, cloud-to-cloud integration, IoT security, apps, user interfaces and more. Not only has the Nest ecosystem proved reliable over all these years, but to many consumers it’s the only “smart home” experience they’ve ever known – whether they came to the brand through a thermostat, smoke alarm or camera. That’s exactly how Ian Weiss of Shangri-La, a Los Angeles-area integrator, came to Nest. It started with requests for Nest thermostats; then he began pitching Nest Protect smoke and CO alarms and Nest Cam surveillance cameras. After going all in, Shangri-La gained “Nest Pro Elite” status, and the leads started coming in from Nest’s online installer finder. The more products and improvements Nest announced, the more business rolled in to Shangri-La. For example, last year’s introduction of Nest Cam IQ outdoor, powered over a low-voltage cable, brought calls from customers who wanted a clean install with the cord running through the wall – something you couldn’t do with Nest Cam outdoor, the company's original AC-powered model. “All the Nest products are available through a single app. That’s what most people like." “Also, we could install it where you couldn’t before,” Weiss says, noting the opportunity to sell more outdoor cameras per property at $349 retail plus labor. Now he can’t wait to add Nest’s new doorbell and lock to the offerings. His company already installs video doorbells from other popular brands, but he’d rather keep his clients in a single smart-home environment if possible. The new doorbell has some of the same intelligence as a Nest Cam IQ, distinguishing people from other “visitors,” recognizing familiar faces, and issuing alerts based on sound. (Some features require a Nest Aware subscription and may be disabled in certain locales.) Also, the UI is the same, so it should be a “familiar experience” to existing Nest customers, as well as pros, Weiss says. As for the Nest x Yale door locks, this will be Shangri-La’s first real effort in the category. Weiss says the company was waiting for a Nest-native device before diving in. The wireless lock integrates seamlessly with the wired doorbell, which serves as a gateway to the home network. With this architecture, the lock does not need battery-sapping Wi-Fi onboard. Instead, it communicates through the doorbell (or standalone Nest Connect gateway) over Nest’s power-efficient Weave home-automation protocol. With the new products, the ecosystem just gets stronger: If the Nest Hello camera (with a Nest Aware subscription) recognizes the dog walker during a set time, it can trigger the system to unlock the door automatically … or send an alert to the homeowner who can then unlock the door with the press of a button. Nest Hello requires a wired doorbell, chime and the right transformer. Check out the Nest Hello FAQ to find out if your home is compatible. We recommend installation by a Nest Pro. From there, Weiss says, it should be simple to add a door lock to the sale. One of the biggest constraints to installing video doorbells such as the Nest Hello is the prerequisite of doorbells wire and a doorbell transformer. Close to half of homes do not have a preinstalled or working doorbell on the front door, and virtually no homes have doorbells on the side or back door. To solve this problem, we created the OhmKat Video Doorbell Power Supply. Once connected to a doorbell, it allows you to power it by simply plugging the transformer into an outlet. Check it out at www.ohmkat.com. We offer wholesale pricing to professionals.